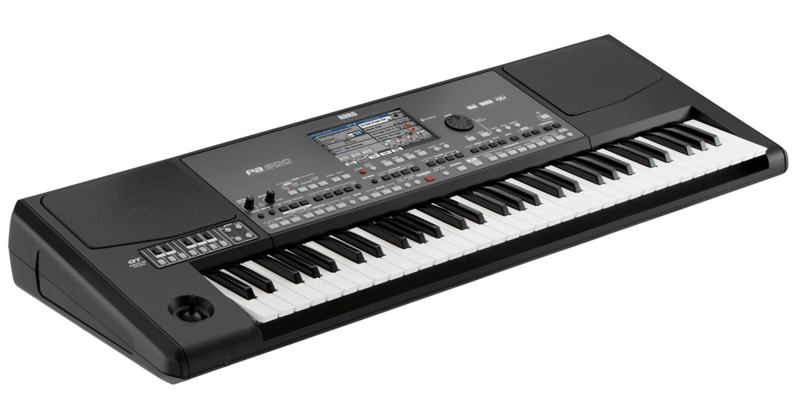 Pa600QT represents another powerful entry into Korg’s extensive line of world-renowned arranger keyboards. 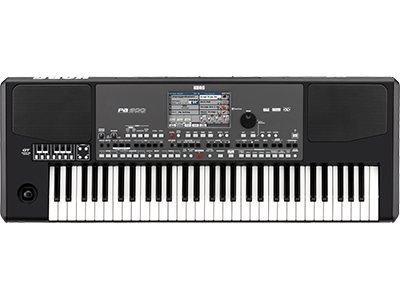 The Pa600QT is an affordable, compact, and powerful addition to Korg’s internationally acclaimed PA series. Providing you with the most up-to-date collection of quality sound and styles combined, the PA600QT is a perfect songwriting and performance partner. It even has the option to include custom sound and performance sets (sold separately) from around the world – a true first! 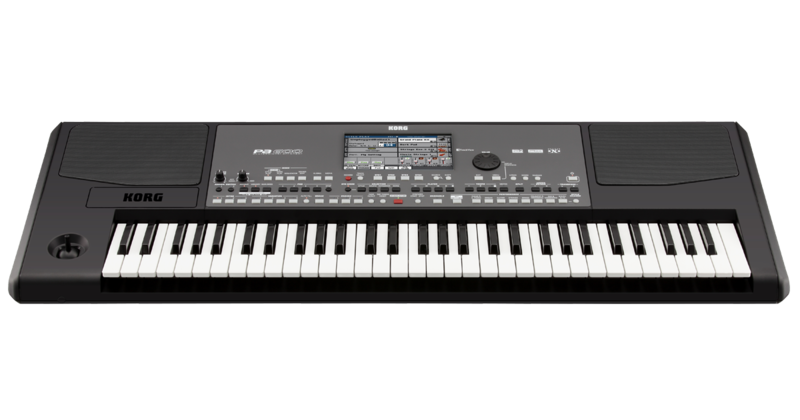 This Pa600QT (Quarter Tone) version contains all the functionality of the standard Pa600, and adds a mini-keyboard on the left side, which can be used to customize quarter tone scales and quickly access scale presets. Along with all the Sounds and Styles that are found on the standard Pa600, The Pa600QT also contains additional Sound and Style data that is specific to Middle Eastern music genres. Ouds, bouzuks, kanouns, various percussion instruments, and many more sounds are joined by dozens of extra Styles that are suitable for traditional and modern music. It all begins with the sound. 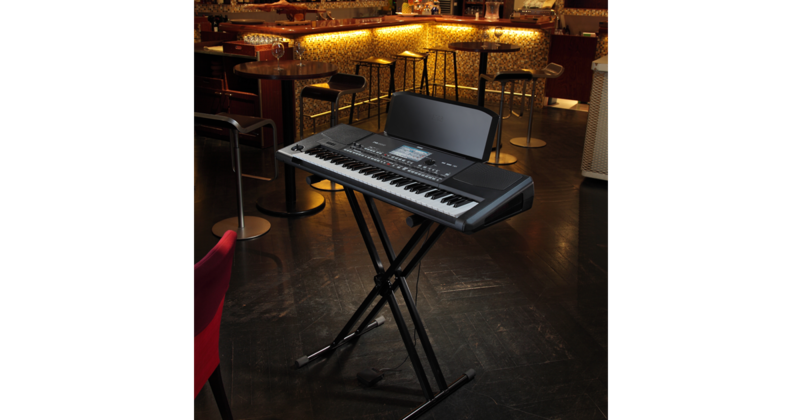 Korg’s sound quality is universally recognized as superior, and is relied on by musicians around the world. The Pa600QT gives you a rich, detailed, natural sound; with musical instruments covering almost every genre, exploding with depth and accuracy. 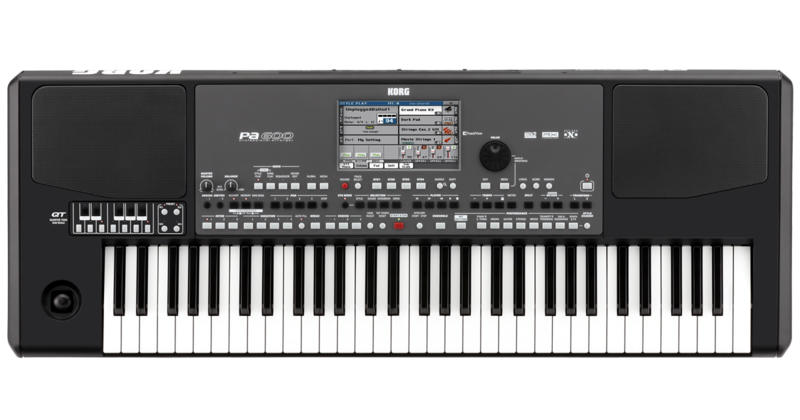 Korg’s DNC (Defined Nuance Control) system adds finely tuned expression control, and provides various levels of articulation. Most importantly, besides the standard sounds of the Pa600, the Pa600QT is filled with percussion, wind and string instruments from many regions in the Middle East. Sounds are fully editable, and changes can be saved in the User area. One of the most significant features of the Pa600QTis the addition of the Quarter Tone Sub Scale keyboard. A miniature keyboard has been added to the front panel; and each key is equipped with an LED indicator. This allows the user to quickly select the notes that will be flattened to the nearest Quarter Tone. This function is always available, so that the Quarter Tone selection can be made quickly and on the fly during performance. In addition, four preset buttons provide one-touch access to the most commonly used Quarter Tone scales. 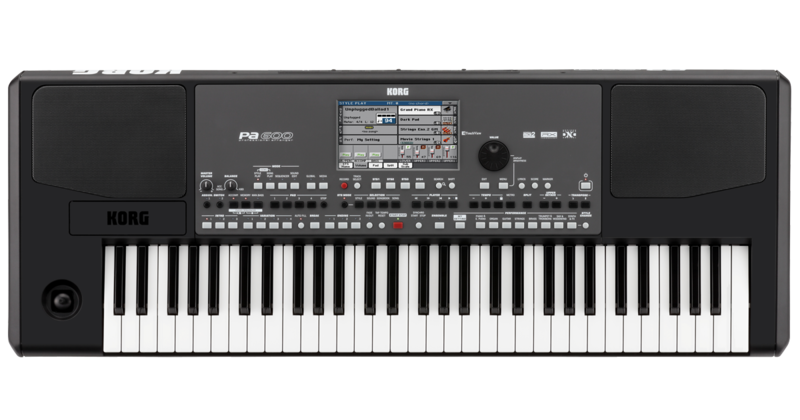 In creating the Pa600QT, Korg drew inspiration from the thousands of musicians in the Middle East who have come to use Korg Pa products. Produced by a team of the best musicians from various countries in the Middle East, the Pa600QT features a complete range of freshly produced instruments and Styles showcasing the sounds that make Middle Eastern music so energetic and exciting, so seductive and enchanting. These new sounds and Styles are provided in addition to all the sounds, Styles, FX and other features of the standard Pa600. 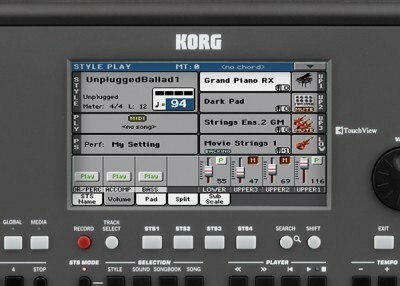 For many years, Korg has produced outstanding, studio-quality effects that are simply breathtaking. The Pa600QT has four stereo Master Effect processors, with 125 effects including standards such as reverb, delay, and chorus, as well as some of our universally acclaimed REMS guitar-based effects for authentic guitar tones. Each track features EQ with Low, Mid and High controls. A custom track EQ can be memorized in the general preferences for Song Play mode. This will help sculpt the sounds to your personal taste for any MIDI file you play. Need a lighter bass track? Save the desired equalization, and the bass will stay that way for all of the subsequent Songs. A limiter and final 4-band parametric EQ have been added to the sound output of the Pa600QT. Its total sound can be enhanced by these powerful and musically refined processors, easily adapting to your musical taste, or compensating for a problematic live environment. The Pa600QT delivers a new set of deluxe styles, programmed by some of the leading arrangers in the Middle East, each of whom worked according to their musical strengths. The result is hundreds of preloaded Styles that provide unparalleled realism and detail. Covering an expanded range of musical genres from all over the Middle East, the Pa600QT provides styles for almost every occasion. If you require a special Style collection, simply record and edit your own styles on board. For each Style, the user can access different intros and different endings; each playing in a different Arabic scale. 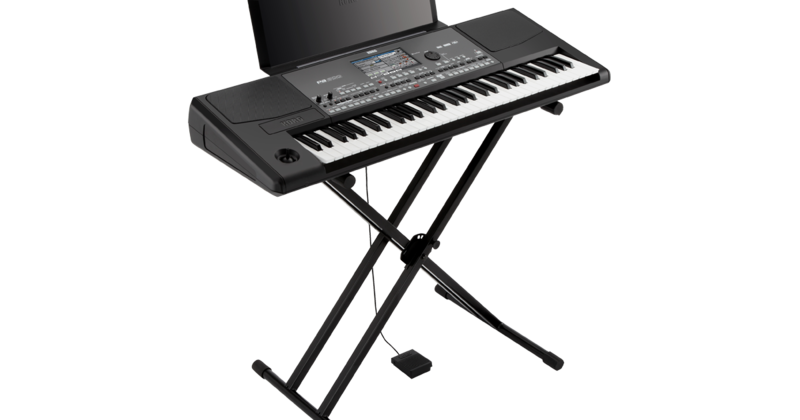 The Pa600QT arranger keyboard also includes special regional Styles. We add further realism to your performance with four Fills, Break, three Intros and three Endings. More flexibility is added by the choice of different transposition tables to suit any instrument characteristic, and the stunning Guitar Mode 2 adds a totally new perspective to how realistic Guitar tracks can sound. If you need both hands to play a solo passage, record your chord sequence and let the Pa600QT’s Chord Sequencer play it for you. The Pa600QT is one of the easiest arrangers to carry around. While its size might appear compact, the power of the onboard, exceptionally high-quality custom designed amplification system is anything but small. The 2 x 15-watt amplifiers drive two loudspeakers in a bass-reflex box to generate a powerful listening experience. The player on board the Pa600QT can read MIDI, KAR and MP3 files. It can also read lyrics and chords from most of these files, and add markers on-the-fly to MIDI files. Traditional score viewing is also available for those who prefer to read music. With all the technological power that’s packed inside, it was vital that we also made the Pa600QT easy to understand and use. Your experience using the Pa600QT should be intuitive, musical, fast and foolproof. The panel layout has been simplified, and the gorgeous color TouchView Display lets you simply think, point and click for easy and intuitive navigation and performance. 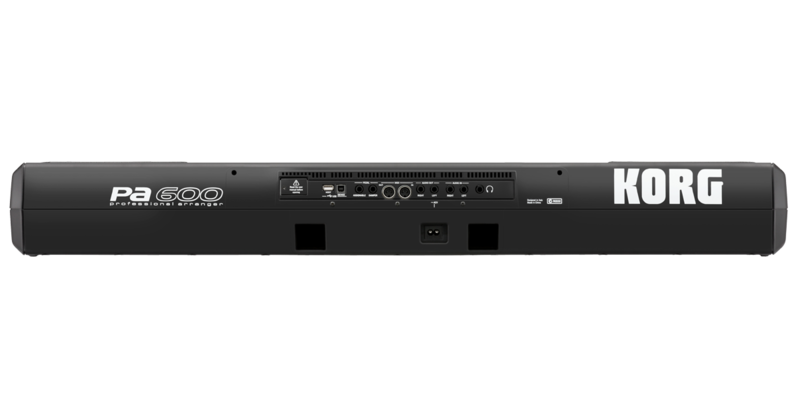 Switches are assignable so your live performances work the way you want, and when you don’t remember where a file, song or style was saved, just use the Search feature to let the Pa600QT find it for you. This exciting feature was developed to make your life easier while playing live. 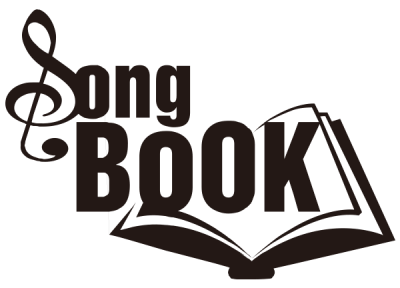 The SongBook is a Musical Database that’s completely user-programmable, containing all the settings needed to play a particular song. You only have to search for the title of the song you would like to play, select it and hit “Play”. 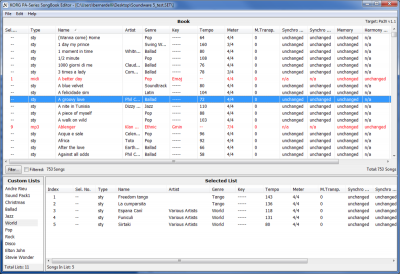 The SongBook can use styles, MIDI files, or MP3s, and you can search for files based on the Song Title, Genre, Artist, Tempo, and much more. Everything that you need to play your song perfectly is in the SongBook; a useful musical feature that is unique to Korg.